203x. A SPACESHIP SUFFERS A POWER FAILURE NEAR A ICY MOON. "Terran astronaut Jack Ollin, travels to planet Catyph. Unfortunately his spaceship suddenly starts to fail and the journey cannot continue as expected. He and his custom AI, DIAM, are somehow attracted by a mysterious secret on Kel Leda, a moon covered with thick ice, where scientists believe that there is a vast liquid ocean under the surface..."
Kel Leda was a project for Adventure Jam 2017 on Game Jolt, so it is a free short game created in a limited amount of time. It was made in about 10 days from scratch (ideas, story, graphics, audio, development...). Unfortunately I couldn't go as far as I had planned, there are very few interactions with the environments, so it is more a narrative experience than a puzzle game. 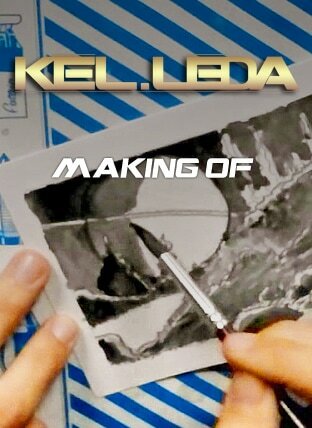 Kel Leda is made of pre-rendered static views like ASA. Except that you don't play by watching through the eyes of the hero: you make the story progress from his computer, with the help of the AI. Want this project to be continued? Show your support: follow on Game Jolt or on Facebook to give more exposure to the project! The soundtrack of Kel Leda was created for the fun during the game jam, using free sample tools and wavepad. The soundtrack is free and available on Game Jolt, or on The Icehouse bandcamp. Discover how the game was made during Adventure Jam 2017. This interesting video is available for free from within the game. 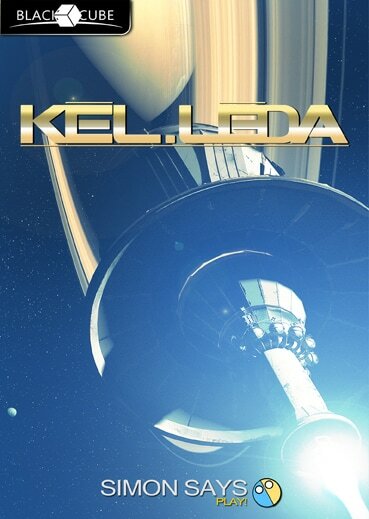 Simply download Kel Leda using the link below, run the exe, and click on the Bonus menu!